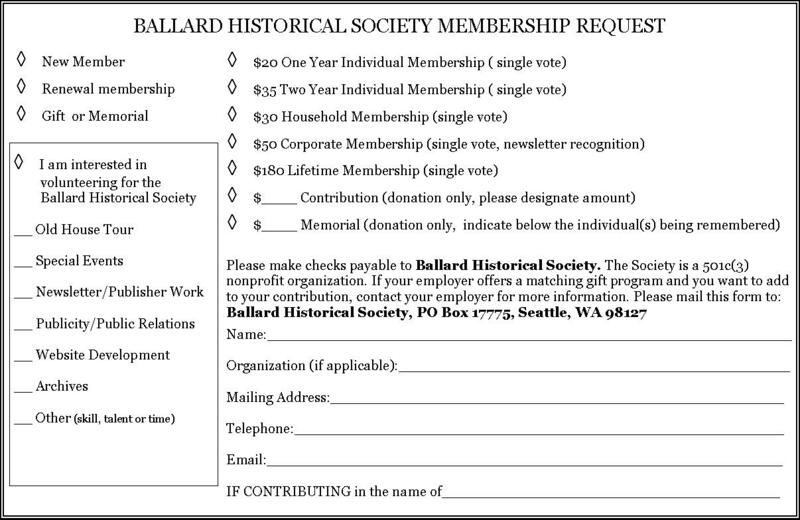 We rely on our members to help us preserve the history and culture of Ballard. We hope you will join us! E-mail Membership. 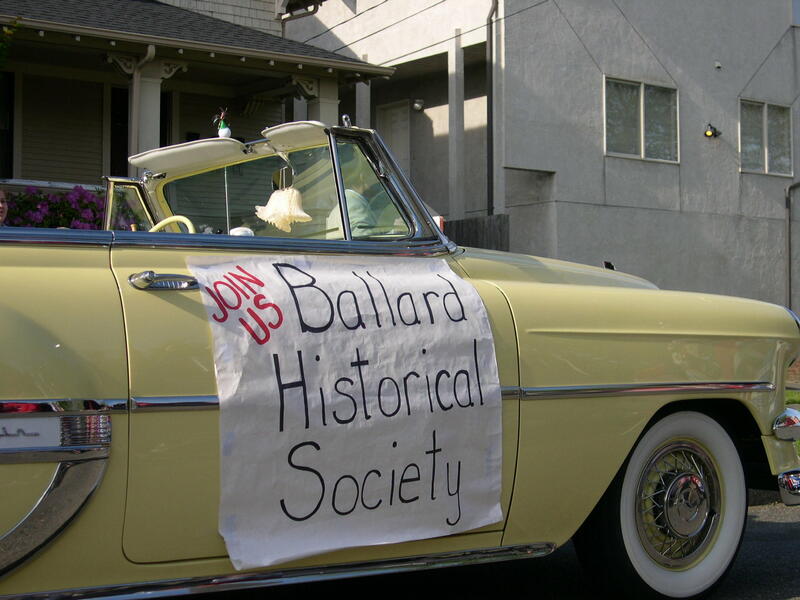 Ballard Historical Society compiles archives of historical Ballard photos, hosts lectures and takes on exciting new community project to improve our unique neighborhood. Attending BHS events, visiting our Web site and keeping in touch via this blog is a great way to honor one of the best things about our neighborhood — its colorful history! The membership form below shows our rates and is printable. Simply click, print, and mail in your tax-deductible payment. Your contribution will be acknowledged by mail. There are numerous membership levels. Jump right in at a Lifetime Level, like our VP, or try things out for a year and see how you like it.